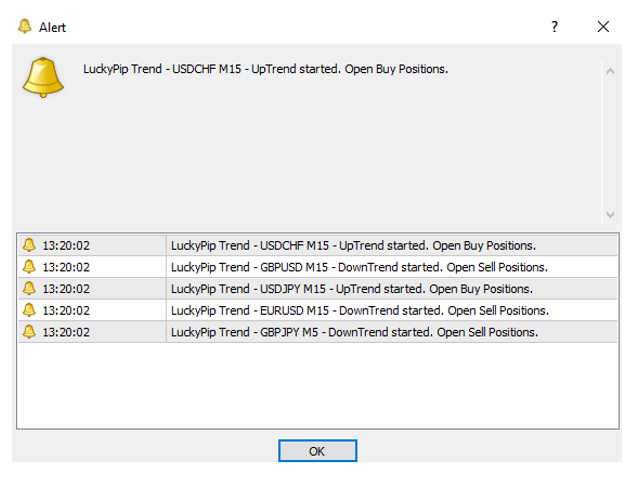 LuckyPip Trend indicator provides multi-currency trend. 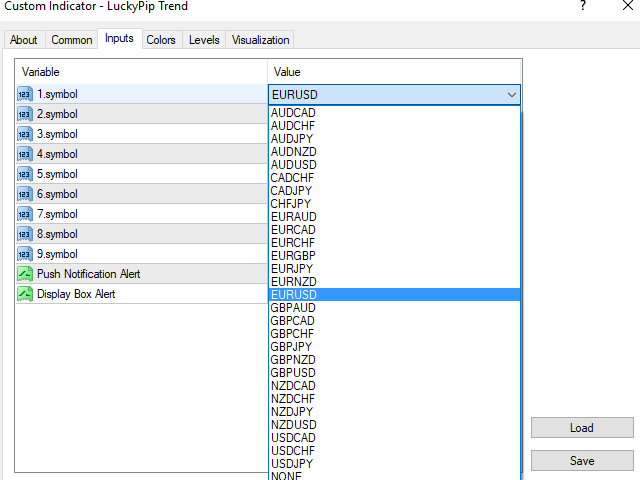 8 currencies are used (USD, EUR, JPY, GBP, AUD, CAD, CHF and NZD). 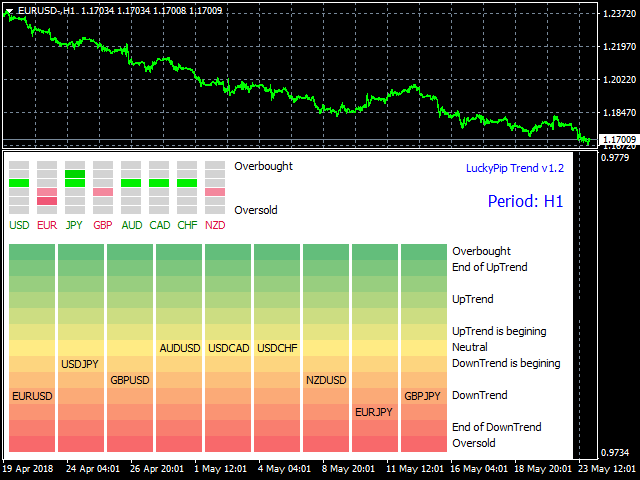 First, currencies' trends are calculated and then pairs' trend is calculated by using currencies' situations. 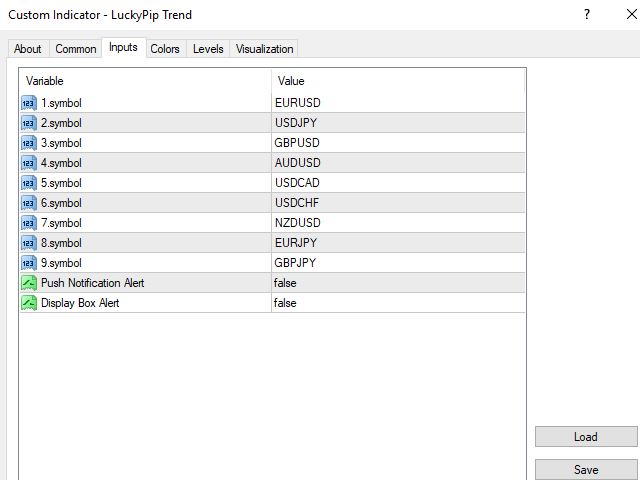 The indicator provides open and close positions signals when reaching overbought or oversold levels. It has a smart algorithm that detects the trend changes and sends an alert for changing. 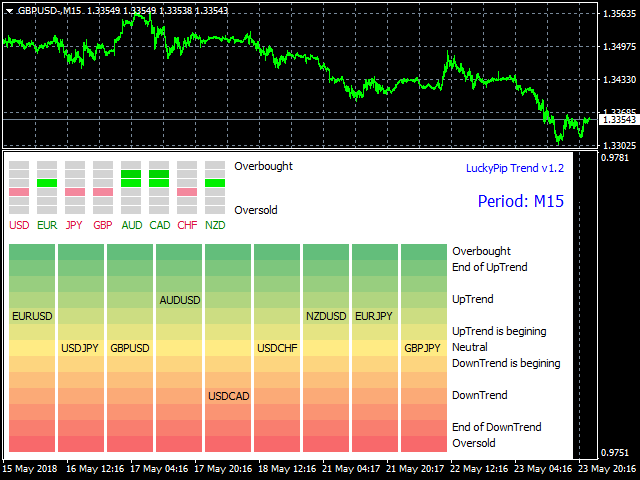 Alert system is running when the trend has changed. If the trend reached the end of phase, the indicator will immadiately send you a notification or a message for a good exit point. The result is calculated for 28 pairs by the super algorithm. Open and Close signals are provided by the indicator. Push notification and display box alert are added. 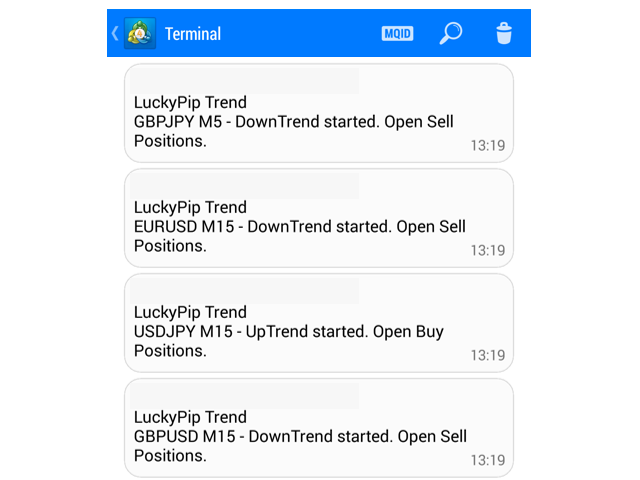 Suitable for scalpers, swing traders, day traders, short-term and long-term traders. 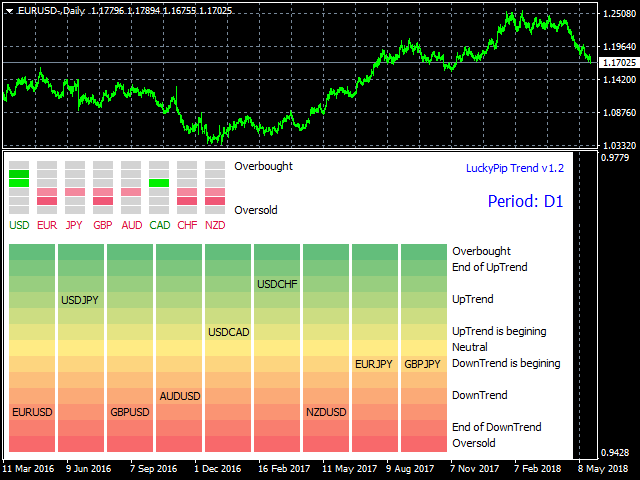 28 pairs' trends are calculated by using 8 currencies' trend. Alert Push Notification: If true, send notifications to your phone. Display Box Alert: If true, send messages to your computer screen. 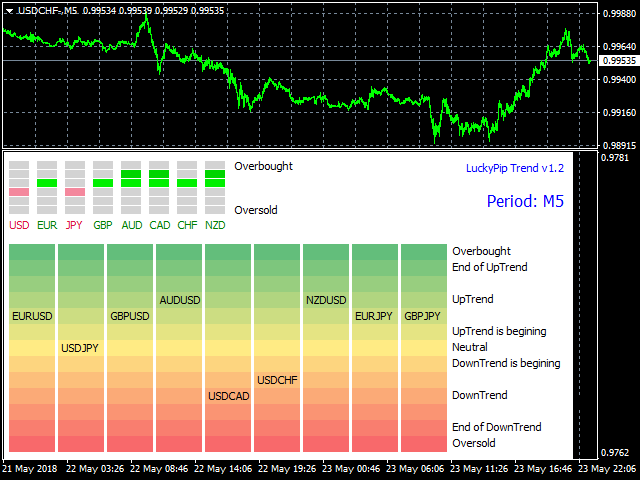 I am developing automatic trading strategies and indicators for nine years. Especially, I am working on major currencies, CFDs and futures.